This is the engrossing story of the seasons the author spent climbing 4000m mountains in the different regions of the Alps. It is also about the people with whom he climbed who found time out of their day-to-day routine for this extraordinary activity. He explains the reason for this fascination which resulted in their spending decades pursuing their climbing objectives. The many photos taken over the years were a reminder of details that had escaped notice in the journals kept at the time. These numerous stunning and inspiring photographs tell their own story and enrich the author’s account. 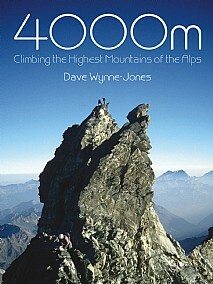 The book is dedicated to all his climbing partners who made the completion of the quest possible. This will be of great appeal to mountaineers, alpinists and everyone interested in photography, the great outdoors and who appreciates a good read.